Rusung Tan (MD) was appointed as the inaugural Clinical Service Chief of the Department of Pathology at Sidra Medical and Research Center in April 2014. As Chief of Pathology, Dr. Tan will be responsible for leading a team of medical, scientific and technical professionals to ensure the safety and excellence of laboratory diagnostic services at Sidra. The Department of Pathology encompasses a wide range of disciplines including anatomical pathology, clinical biochemistry, hematopathology, genetics and microbiology and collaborates with clinical departments to provide the best and highest possible care to women and children. Dr. Tan received his medical degree from University of British Columbia (UBC) and completed his PhD at the Institute of Molecular Medicine, Oxford, UK. He joined the Department of Pathology and Laboratory Medicine at UBC in 1999 becoming Professor in 2007. 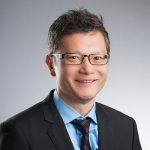 Dr. Tan is the previous Head of Pathology at Children’s and Women’s Hospital and has been the Head of Immunology and Infectious Diseases Research at the Child and Family Research Institute since 2004. Dr. Tan is an international authority in understanding the role immune cells in the primary immunodeficiency, X-linked lymphoproliferative disease and in the study of autoimmunity in type 1 diabetes. His group was the first to show that quantification of autoimmune T cells in peripheral blood can predict onset of diabetes, and one of the first to show that mutations of SLAM-associate protein lead to NK cell defects and impaired development of NKT cells. Dr. Tan has been the recipient of numerous awards, including the Samuel McLaughlin Fellowship in Medicine and a Michael Smith Foundation for Health Research Senior Scholar award.